The Great Sandy desert is the second largest desert in Australia. It covers more than 250,000 square feet of land in Western Australia and the Northern Territory. Several parks overlap the desert, including the Uluru and Rudall national parks. Mammals, birds, reptiles, amphibians and invertebrates have all adapted to the hot, dry conditions in the Great Sandy Desert. About three dozen mammal species are native to the Great Sandy Desert, and a handful of invasive species have adapted to this region after being introduced to it. The lesser long-eared bat (Nyctophilus geoffroyi), flying fox (Pteropus scapulatus) and kangaroos such as the red kangaroo (Macropus rufus) are all indigenous mammals to this desert. Rudall National Park is home to the dingo (Canis lupus dingo), the lesser hairy-footed dunnart (Sminthopsis youngsoni), the spinifex hopping mouse (Notomys alexis), the pebble-mound mouse (Pseudomys chapmani), the sandy inland mouse (Pseudomys hermannsburgensis) and Gould's wattled bat (Chalinolobus gouldi). 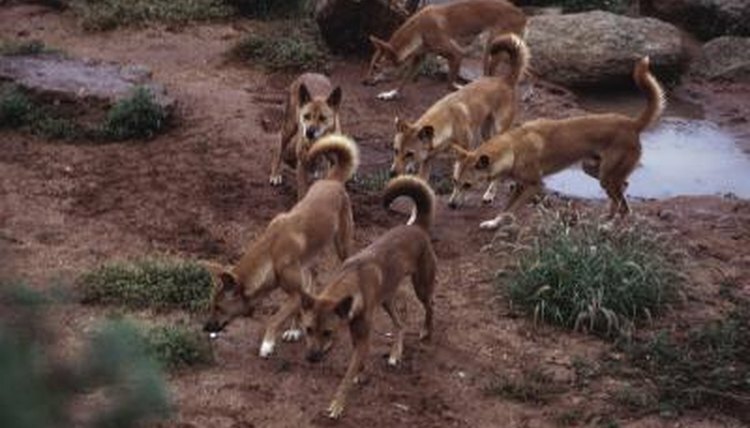 Invasive mammals within the Great Sandy Desert include feral pigs, dogs, cats, horses, donkeys, camels, rabbits and foxes. About 21 species in the Uluru region are considered threatened; the IUCN Red List of Endangered Species lists the marsupial mole (Notoryctes caurinus) as endangered and the bilbie (Macrotis lagotis) as vulnerable. Hundreds of bird species live in the Great Sandy Desert. Almost 180 species have been identified within Uluru National Park alone. Common birds in the desert include the striated grasswren (Stipiturus ruficeps), rufous-crowned emu-wren (Amytornis striatus), scarlet-chested parrot (Neophema splendids) and grey honeyeater (Conopophila whitei). Different birds are drawn to different habitats within the desert. For example, the painted firetail (Emblema pictum) and dusky grass wren (Amytornis purnelli) gravitate toward spinifex plains, while the chestnut-rumped thornbill (Acanthiza uropygialis), inland thornbill (Acanthiza apicalis) and spiny-cheeked honeyeater (Acanthagenys rufogularis) are drawn to mulga trees that grow in clumps throughout Uluru Park. Desert reptiles are numerous in the Great Sandy Desert, with 75 species documented in Western Australia. The thorny devil dragon (Moloch horridus) is unique to Australia and has a distinct appearance -- it's covered in sharp spikes from snout to tail. Many gecko species, including the smooth knob-tailed gecko (Nephrurus levis), are endemic to the region. Many non-venomous and venomous snakes call the desert home, including the reclusive desert death adder (Acanthopis pyrrhus). Frogs have also adapted to life in the Great Sandy Desert. Eight species of burrowing frog are found in Western Australia and three more in Uluru Park. These frogs are capable of storing large amounts of water in their bodies to keep them hydrated in especially dry times. The great desert skink (Egernia kintorei) is listed as endangered in Western Australia. Insects like ants, termites, cicadas, butterflies, grasshoppers and beetles provide food to larger animals in the Great Sandy Desert. The wood scorpion (Cercophonius squama) is only a few inches long but manages to fight off predators with its nasty sting. This animal can only live in a microclimate based around a natural spring within the desert. One species of land snail (Basedowena olgana) is endemic only to Mount Olga and Mount Conner within the desert.